When I was a kid, I wanted to be a writer. I remember seeing a picture of a gondola in Venice and I started writing a story about it. It didn’t go far … what did a kid from a tiny town in southeast Kansas know about gondolas, Italy, or anything actually? Then, in the fourth grade, I tried to write a play for my recess group. It didn’t go far … they couldn’t read my handwriting. In college, I took creative writing classes. They didn’t go far … I really didn’t have much to say. My life didn’t encourage this dream of being a writer. No one I knew wrote books. No one said, “Go for it! 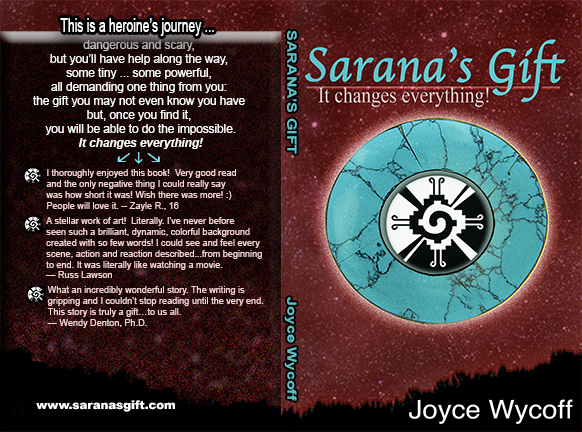 You can do it!” My ignorance of the world and the universe of books was megalithic. Books were like magical creatures that beckoned me into the world without revealing where they came from or how. So, I put aside the dream. I had money to make, bills to pay, a career to build. But, the dream kept niggling its way back into my consciousness and every once in awhile, I’d send off a flurry of query letters to magazines or publishers. The response was consistent: "No, thanks." Time passed, the dream faded, reappeared and faded again. Then an idea connected with a publisher and, at age 45, I became a writer and an author. Book projects came my way and I kept writing. Nonfiction became a comfort zone so I tried fiction. Failure. Again! For years, I told myself I couldn’t write fiction, didn’t know how to do description, bring characters to life, tell a story. Yadda, yadda. Then, one day, while trying to write something else, a "something" demanded its space on the page. It was an amusing bit of fluff and I didn’t have anything better to do, so I followed it. It wasn’t “a book;” it wasn’t even “a story.” It was just words flowing and calling me to follow. So I did. Today, three years later, that bit of fluff has turned into a bit of reality. Proofs of a young adult fantasy novella will be in my hands in a few days. And, now, my mind is already conjuring up a multi-book fiction series for young, mature women (is YWM a new genre?). I am now a fiction writer. Officially. That childhood dream wasn’t just a passing fancy. It was something real inside me that wanted out. I just didn’t know how to set it free. Which makes me think about those childhood dreams in all of us. Which ones are still calling out to be born into the world? Somehow, I wish we could say to kids everywhere … whatever you’re dreaming about doing with your life, trust it. You may need to gather a lot of life experience before it can truly live in the world, but trust it. It is part of you … a real part of you … a part that only you can nourish and protect and give birth to. Honor it.